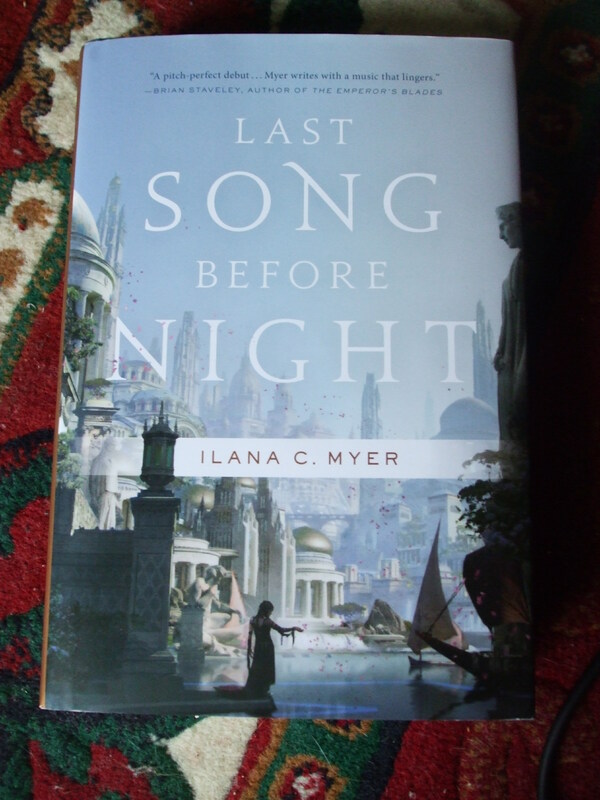 A review, live over at Tor.com. 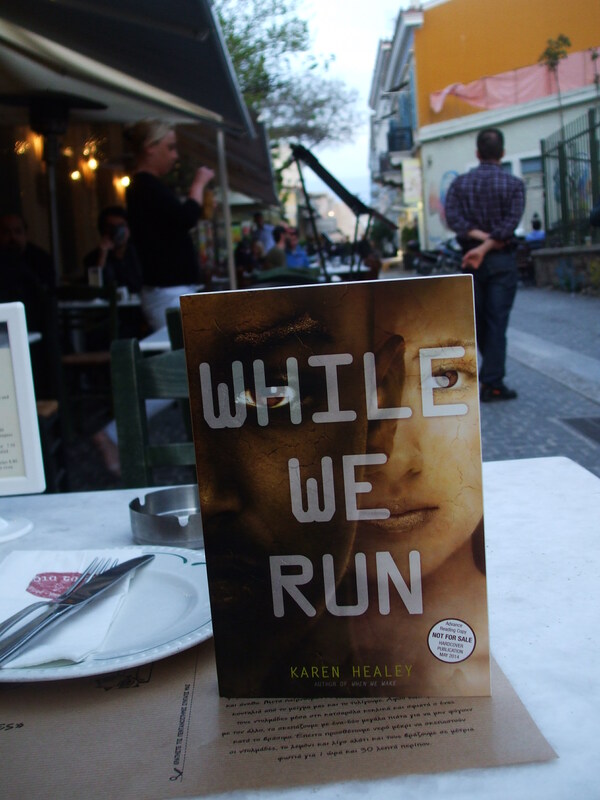 Two posts by me gone live today. Excessive! 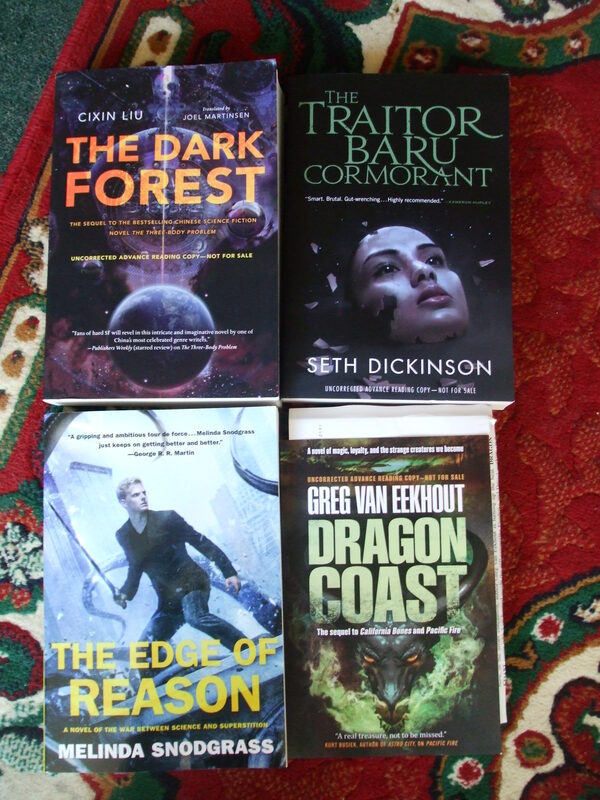 This morning’s review copies. 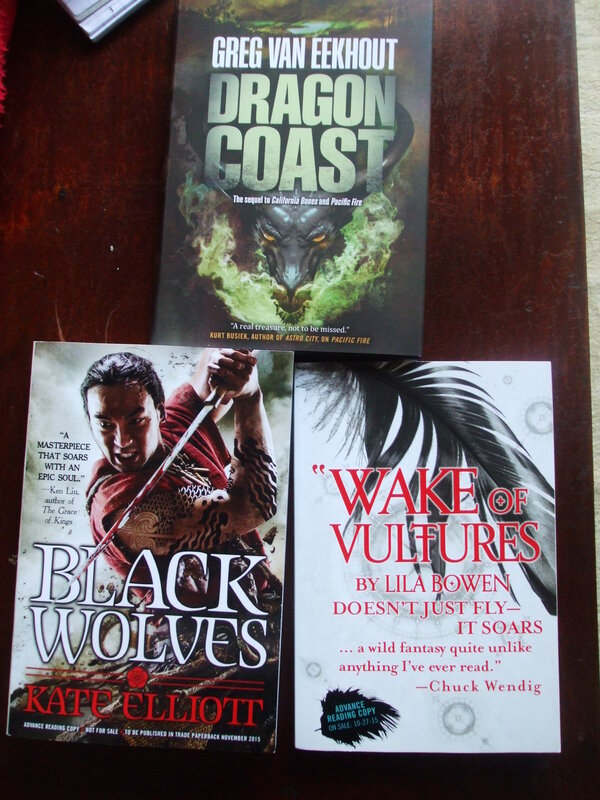 I swear the postman must think I’m smuggling or something. 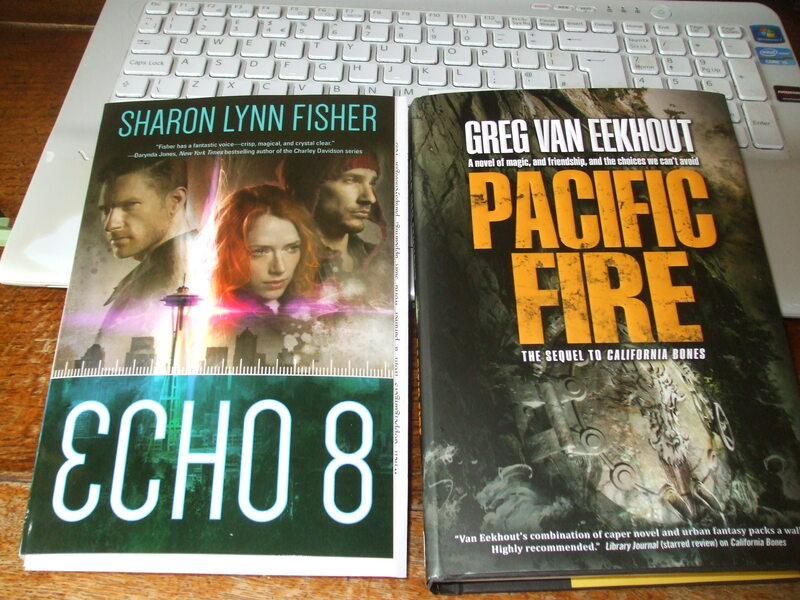 Sharon Lynn Fisher’s ECHO 8, and Greg van Eekhout’s excellent PACIFIC FIRE, courtesy of Tor Books. 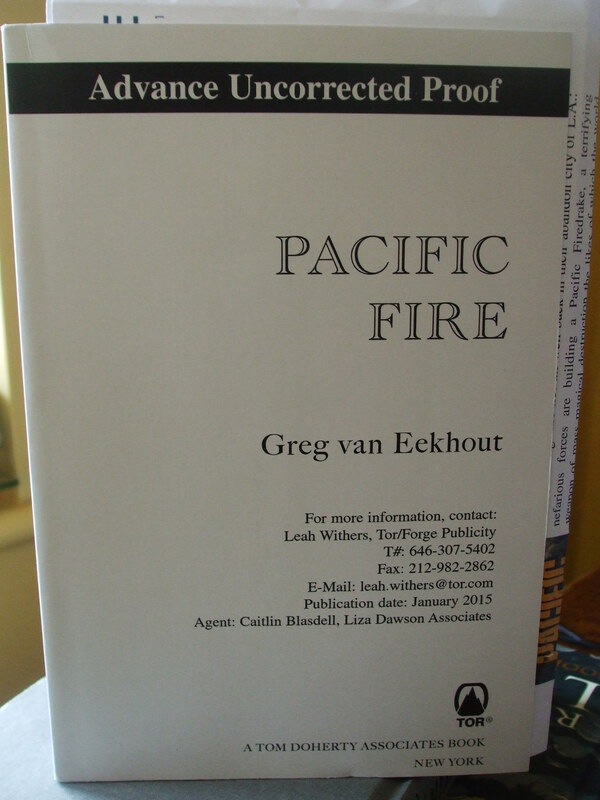 That’s Greg van Eekhout’s PACIFIC FIRE, forthcoming from Tor. 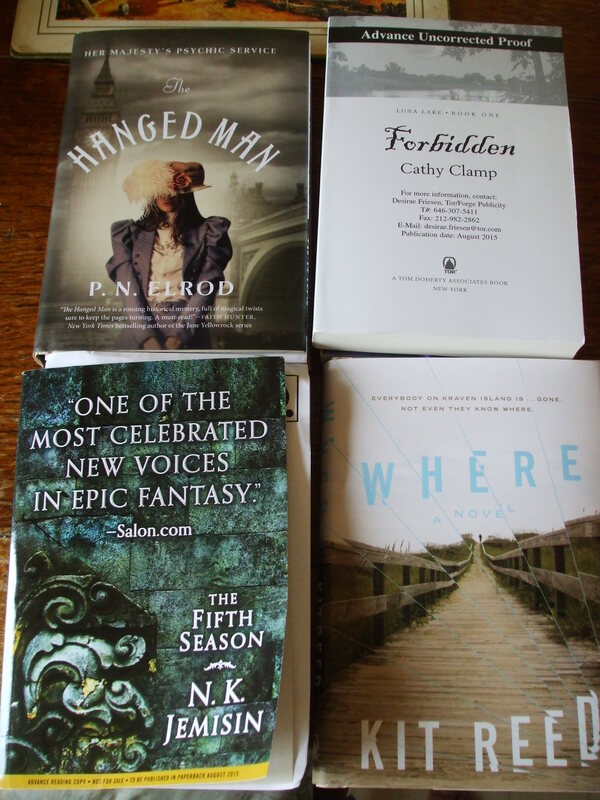 – And a new Sleeps With Monsters column, talking about several different recent books. 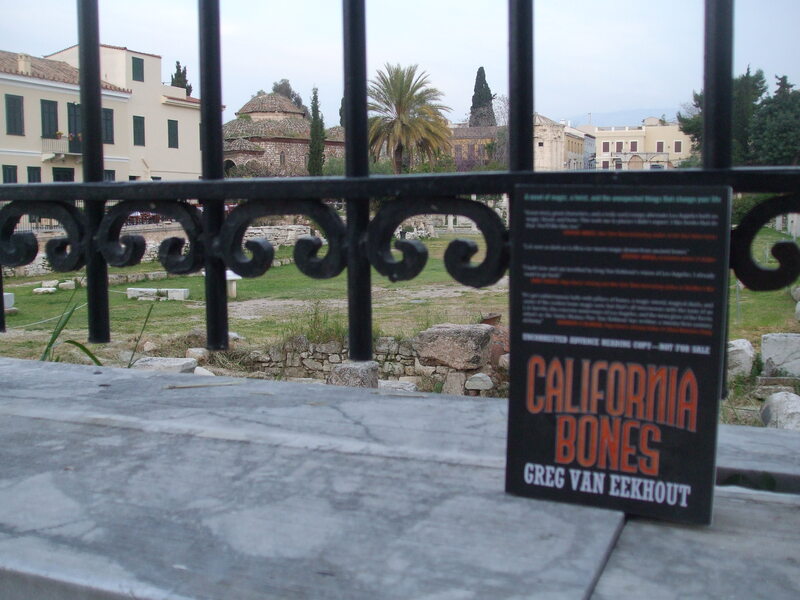 Since taking a picture of a book in the agora yesterday, I decided I should chronicle my other paper readings. I was practically on top of the Great Drain, but still on the path. I’m not sure how sewerage installations become sacred. That rather baffled me. No putting inanimate objects in the picture? But, hey, I don’t want to get hauled off, and I’ve been a tourist-herder, so I obliged the woman. And took my pictures from outside the fences. 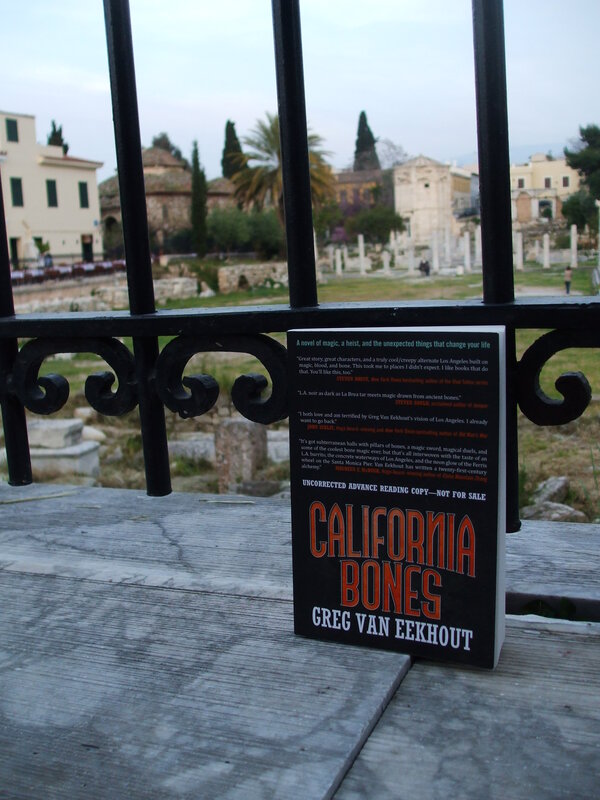 Still at the Roman agora. At a restaurant on Adrianou. 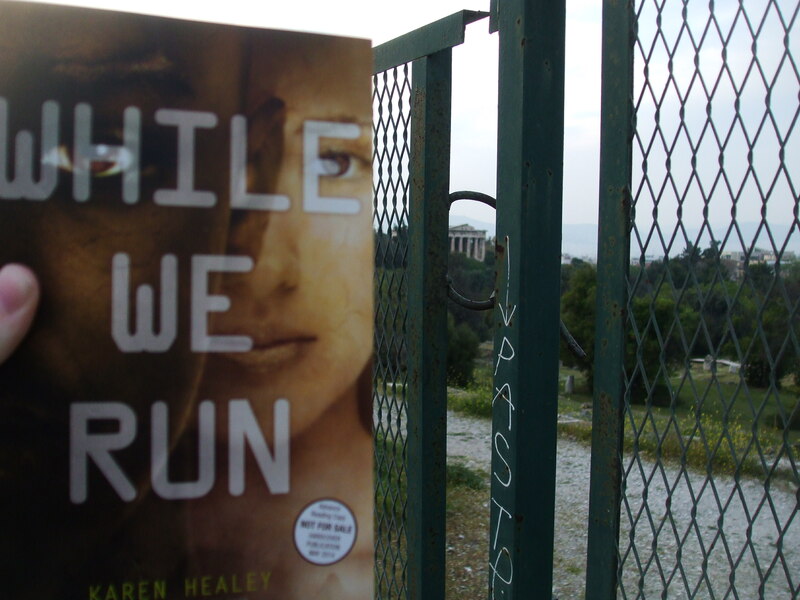 Just squeezing the Hephaistion into frame.